Homes are one of the most expensive investments people make in their lives. With the high cost of property and construction, most would never be able to afford a home without a mortgage. Over 95% of all who were looking to buy a home for the first time last year got a mortgage to buy it. The final figures for this year do not show any drop off in those percentages. Anyone looking to buy a home should be talking with their local lending officers. This is true whether they are currently renters or are fresh out of college and ready to start a new life in a new home. Starting off a home search at the local bank is a great step. Before even beginning a home search, knowing what financial situation awaits, and how much you can be approved for will give you a good starting platform. When you are preapproved for a mortgage, you know what price range you can reasonably look at for a new home, and you have buying power. All home buyers, first time or otherwise, have more of a bargaining position when bidding for the home they want. Having a pre-approved mortgage can help a buyer get a better price, because the seller doesn’t have to wait for them to get a loan. Buyers with a pre-approval may also have the winning hand in a bidding war. A higher bid that still has to get financing isn’t as attractive as the next highest bid that already has the pre-approved mortgage in hand. Before anything, creating a budget that truthfully reflects all of your regular monthly expenses will give you an idea of what you will be comfortable spending on a mortgage payment. If you already rent, consider the amount you pay monthly on rent as a starting point. There are many calculators available that will help you determine what your maximum spending limit for a home should be, based on several criteria, most importantly, income. However, these calculators can only give you a broad idea. They will not tell you if you qualify for a loan that will pay the price of the home you are looking for. Of course, the way most people consider a mortgage, they find a home first and apply for a mortgage. Doing it that way means when you place an offer on a home, there has to be a contingency on the agreement that states it is void if you can’t get the mortgage necessary to complete the sale. This is fine for the buyer, but it is a very bad position for the seller. 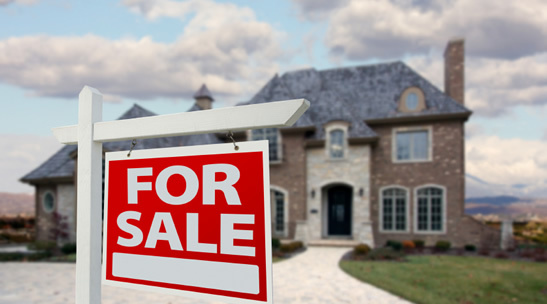 For the seller it means they have to accept the amount you offer and take their home off of the market while you go through the lengthy process of getting a mortgage, and they have to hope you end up being approved. If you are not, then the seller has no sale, and a home that is being relisted. That is never a good look from a sales standpoint. There are two ways to find out whether you are qualified for a mortgage, without actually submitting a loan application. They are pre-qualification and pre-approval. Pre-qualification can be done online or over the phone. In some cases it is done in the lender’s office, but it is very rudimentary. Standard questions about salary and other personal information are provided to the bank, and they give you a yes or no based on that information. All that means is that if no other problems arise, you are likely to get a mortgage loan. It is not a guaranteed loan, and the application process will be just as long as applying for a loan after making an offer on a home. The best way for a new home buyer to find out how much they can afford to spend on a home is to get pre-approved. When you get pre-approved, you are going through the process of paperwork so the bank can have all of the facts in hand, and tell you that they would be willing to back you up to a certain amount of money. Pre-approval is based on all of the documents necessary to get a loan, and it is officially verified by a lending officer. To get a pre-approval, an applicant must furnish W-2s, pay stubs, credit information, tax information and any other information the lender feels necessary to provide adequate insight to your ability to repay the loan. Because a pre-approval is a seal of approval from your bank, it holds far more power in home negotiations than pre-qualifications. The seller knows you can definitely afford the cost of the home, have a relationship with the lender and an agreement with them for a mortgage. Even so, pre-approvals are not exactly the same as a mortgage application. What makes a pre-approval so important is that the bank has already seen all of the paperwork, and given the okay for a certain amount of money. You just haven’t “officially” asked for a particular amount on an application form yet. So, when you are pre-approved, you basically have no waiting time for discovery or decisions. You file your official request for a mortgage in the exact amount of the purchase, and the bank, already having all the financial information necessary can approve it immediately. There is one important note to consider after having been pre-approved: Nothing can change that will affect your financial status in the interim between getting pre-approved and getting the actual mortgage loan. If you apply for a new credit card, buy a new car, change jobs or anything along those lines, the pre-approval will be invalid and it will need to be started all over again with the mortgage application. 9 out of 10 home buyers use the services of a real estate agent when looking for a home. It only makes sense. Real estate is an involved legal interaction, and there are so many homes on the market, a buyer may not even know when there is the perfect place just blocks from where they are. The real estate agent will have a complete listing of all homes, and a breakdown of what amenities that home has. That way they can narrow the search to only show you homes that conform to your desires based on a wide range of criteria such as number of bedrooms, bathrooms, size of home, style of home, extras like pools, waterfront or neighborhoods. Above and beyond finding the right home, real estate agents have the background and training to navigate the tricky real estate laws involved in a transaction. A good agent can also help a buyer avoid costly pitfalls caused by faulty features or construction that a buyer might not notice. If you know someone who recently bought or sold a home, asking them about their agent is a good way to find a representative for you. Home buyers can get a real estate agent with confidence knowing that most fees for both the selling agent and the buying agent are paid for by the home owner at closing time. Once a buyer finds the perfect home and comes to an agreement with the seller it seems like it is time to celebrate. There’s a lot to do before picking up the champagne glass after a contract is signed. There are still things that can go wrong, so now is the time to be extra vigilant in making sure everything goes as planned. If you have a real estate agent, you can take a big deep breath. A real estate agent will know all of the steps to take to make sure you move to close quickly, and have all the protection you should before you get there. They will contact an inspector to give the home a thorough evaluation prior to finalizing the sale. It is up to the buyer to pay for the inspection. Depending on the area, size of the home and how old the building is, it can cost up to $600. While you can waive the contingency of an inspection it is never a good idea to do so unless you are aware of all potential problems, and can afford costly repairs should they pop up. A licensed inspector will check for bad wiring, code violations, the roof and building structure, safety problems, plumbing and other issues that are out of the ordinary. Most inspections can take several hours and it is a good idea to be present at the time of the inspector’s visit. That way you can ask questions and find out more about the home you are about to purchase. Whether you attend the inspection, or not, you will get a copy of the report with all of the home’s details included. Your realtor will also request a title search on the home to make sure there are no liens on it that will transfer to you upon purchase. If any liens are present, and even a mortgage held by the current owner is considered a lien, those items must be paid from the proceeds of the closing from agreed upon price you pay to the seller. Finally, right before closing, your realtor will arrange to allow you to walk through the home to inspect it yourself. That way you can be sure no damage has occurred in the time since the offer was made, and any repairs you may have required of the seller based on the inspection have been completed. Even if your lender does not require it, and most do, you will want to get home owner’s insurance to provide protection against damage and liability protection. If you already had a home and are just buying a new one in its place, you probably can just transfer your home owner’s insurance to the new property based on the new specifications. A first time home buyer will be smart to compare companies and premium costs. Premiums are usually based on the size of the home and its age. Once you make a deal with the company of your choice, you will be issued a policy. Your lender may ask to see proof of an agreement at the closing date. When you enter an agreement to buy a home with a seller, you will likely give them a down payment. This money is not given to the seller immediately; it is used to open a temporary account known as escrow. That money is held for the seller, and considered a show of good faith from the borrower. If any of the terms of the sale are violated, the home does not pass inspection, or a contingency is not met, the buyer gets the money back. However, if the buyer decides after making the agreement that they do not want to buy the home, for any reason, the seller still gets the escrow money even though the rest of the sale does not go through. That rarely happens. Most of the time, you will go to the closing with your mortgage for the full closing cost minus the money already given in escrow. Closing is very simple. In most cases both the sellers and the buyers meet with a lawyer and their real estate agents to go over the legal paperwork. A representative from your mortgage company may also be present, or they will have sent over all of the necessary information and payment. All parties sign the paperwork and the deal is done. The whole thing typically takes less than an hour or two. How Much Can I Afford To Pay For A New Home?